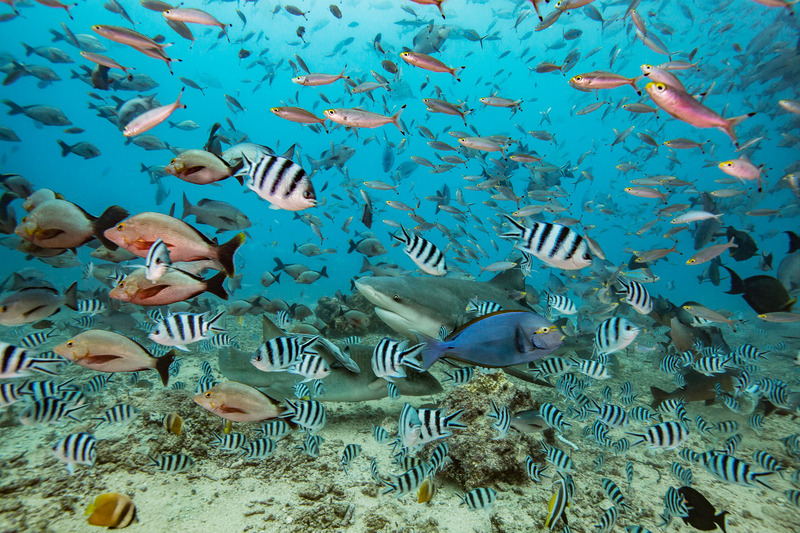 Bull sharks surrounded by fishes. Among the most agressive sharks, Bull sharks live throughout the world, in shallow, warm ocean waters but also have adaptation for swiming up into freshwater rivers. Although humans are not part of their diet, can can eat almost anything.